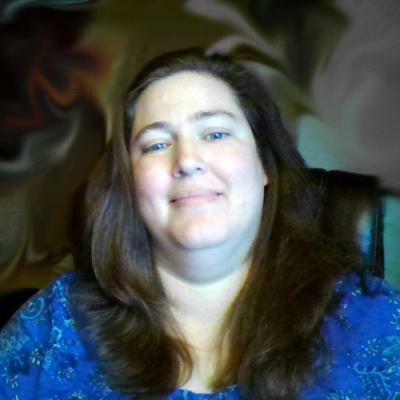 Today I am going to introduce you with one more power blogger Interview with Crystal Green. Interviews are the great way to know person, her struggle, life journey and achievements. It make all of us strong and also give inspiration to create our own world of happiness. Ans: I'm a SC wife and homeschooling mother to three kids. I started blogging as a way to share my personal life experiences in hopes of it helping others with similar issues. I have an abusive past and when I started my blog I thought that was going to be what I wrote about the most. However, the longer I've been blogging the more I've found that I truly enjoy writing about entertainment related topics, homeschooling, parenting, marriage and life in general. I love being a lifestyle blogger who talks about a wide range of experiences. I do strive to provide tips and tricks to help my readers make the most of their lives. My blog also has my oldest son, husband, and mother-in-law as contributors when they have something worth sharing. My husband is an avid video gamer. My mother-in-law is a crafter. My oldest son just enjoys talking about the things he gets to review due to the blog. I love to help others with their blogging journey too. I have written a long list of blogging tips posts too. Feel free to email me with any blogging question that I didn't cover, and I'll gladly write up a post (and/or make a video) about the topic. I love connecting with others. I like making lasting connections with my readers. I may not have a large set of pageviews, but I do have a loyal readership. Ans: My blog name came from me wanting to share my own personal life experiences in hopes of helping others through sharing my stories. I thought of how older people sit on their porches and just share some of the things they've learned in their lives with some big moral to it all. I strive to do that with my own writing. I hope to make you feel like you're sitting on my front porch with me. When I first started blogging I was literally on my own for a long stance. Then I found out that other bloggers truly are NOT in competition with me. I have enjoyed building friendships with bloggers and readers. My biggest struggle has been keeping everything organized. I actually overload myself because I never expect to get approved for so many things. I want to write more evergreen content verses sponsored content. Finding that happy balance has been my biggest issue! I also still do NOT have the website layout that I want to have. I have tried to change it a lot of times!! I believe I have created that issue since I cover so many topics. I know I need to narrow them down more. Ans: It most definitely can. It has opened a wide range of opportunities for my family. It has allowed me to stay home and actually be able to see my kids grow up and learn daily. I love the fact that we get to try out so many neat products. I also feel like I have gained so many relationships that have truly improved my life for the better. It has helped me with my depression issues too. Blogging is addictive and a lot of fun for everyone involved. If anything, it has helped bring my family closer too. I truly love blogging and all that comes with it. Ans: Honestly, I don't have a favorite marketing tool yet. However, I have used many different things to help with scheduling social media from Hootsuite, Buffer, Tailwind, ViralTag, and CoSchedule. I also have plugins that help with promoting stuff automatically for me too. Nothing beats having others market your blog posts for you because they love what they've found though. Ans: I wish I could have a daily schedule that I could keep. I would love to work on my blog from 9AM-5PM daily. If I didn't have to teach my kids, I honestly could. However, I do strive to write a blog post a day (it doesn't always happen that way) , schedule out some social media each day, and I visit at least 20 other bloggers a day and do some blog love. Ans: Blogging is when I write to share a part of myself with others. Blogging is also about making connections with people who have similar interests as me. I also feel that now it's a very viable form of quality income. I feel that blogging if done correctly is a life changer in many ways. Blogging allows a person to learn and grow in ways they never dreamed possible. It's a therapeutic form of outlet. I feel utterly blessed to able to call myself a blogger. I hope to do it for many more years if not the rest of my life. Ans: Wow, that's truly a hard one to narrow down because I visit hundreds of blogs a week. I have a few that I would say I don't want to miss their blog posts. One of them is http://tolovehonorandvacuum.com/. I love how she's promoting what marriage and relationships should really be like. I am a fan of familyfocusblog.com/. I enjoy this blog because it's fun to read and they are like us and cover a wide range of topics. Ans: I honestly spend more time on social media and blog promotion than I do on writing the content. When it comes to blogging, it doesn't work to just write it and expect them to come. In the online world, you have to be everywhere or be in one spot exceptionally well. Ans: Blogging is something that I wish I could do all day everyday. Honestly I spend about 4 hours a day total on my own personal blog. I am online a lot, but the real hours that I get to devote to my blog is at max 4 hours a day. Ans: I appreciate everyone one of my visitors to my blog. I truly want to get to know you as a person so I hope that you'll take the time to leave us a comment on the posts you read. Also be sure to enter any live giveaways because your chances on winning these great prizes is always high. I hope you like us enough to come back and visit again! Sign up for our newsletter because when we have something great to share with you, I don't want you to miss out. Don`t forget to share about Interview with Crystal Green on your social profiles. If you want me to Publish your interview, feel free to contact me.